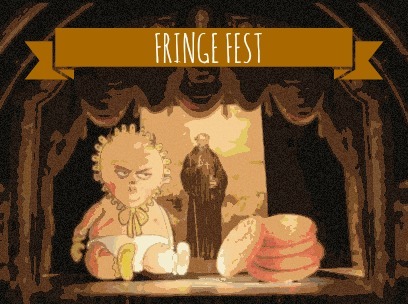 The Fringe Fest is going on right now and it would be a disservice to my readers to not mention Fringe for its final weekend. This is your chance to see some performances of some great artists. Each performance was chosen by random selection, sort of like at a bingo hall, that way everyone gets a chance to participate. The core of the mission is that they believe everyone has the ability to create great art and more importantly they are given the chance to try. All shows are 45-60 minutes long and every evening they have shows at different venues at 5:50, 7:00, 8:30, and 10:00. On Saturday and Sunday there are some afternoon performances as well. On Sunday, the Audience Pick Awards preform at 8:30PM at each venue these are the performances that did the best during their run. It is your chance to catch the best of the best. Otherwise, go online and read the audience reviews. They will give you a look into what the performance is like and if you would be interested in it. If you want my suggestion: If You Give the Devil a Cookie is playing tonight at 10:00PM at the Cowels Center and involves a large baby suit. Seriously, you cannot go wrong with that. Tickets are 12 dollars but you also need to buy a fringe button for 4 if this is your first show. So, 16 in total for adults. 5 Dollars for kids 12 and under. because it’s time to try something new tonight.